Foreigners At Home: Turkey Beckons To Germany's Turks After years of being treated as second-class citizens in Europe's economic powerhouse, large numbers of Turks — descendants of the first wave of immigrants — are returning to Turkey. 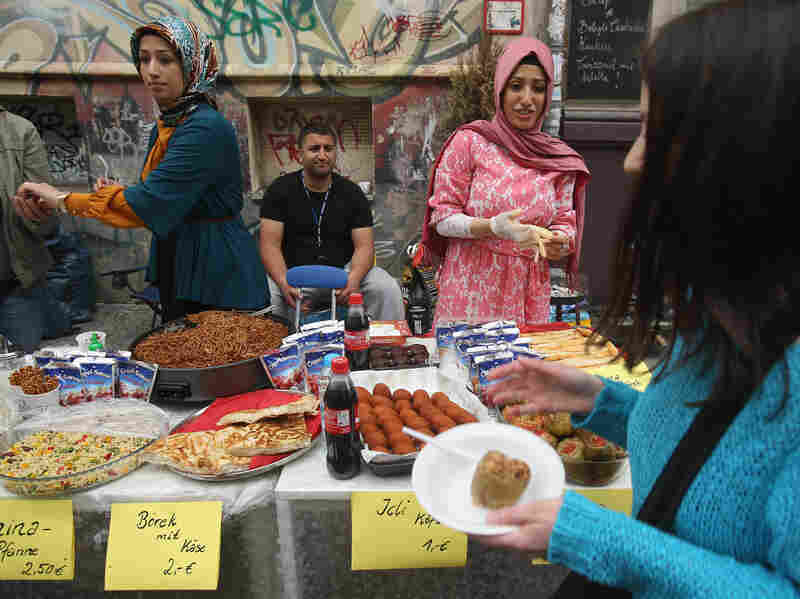 Prospects in their homeland are looking up, while times are harder in Germany. The euro crisis and Islamophobia are making Turkey more appealing to the descendants of Turkish immigrants who have been living in Germany. In 1961, desperate to increase its labor force, West Germany signed an employment agreement with Turkey and launched a wave of immigration that continues to have repercussions today. Now, after years of being treated as second-class citizens in Europe's economic powerhouse, large numbers of Turks — descendants of the first wave of immigrants — are returning to Turkey. Yucel Yolcu, 44, has a good life in Istanbul. He likes his job as a film director; his sunny apartment on a hill above the Bosphorus is alive with the sounds of guests and pets. But when he thinks back to his early childhood in Germany, he's amazed things worked out this way. His early memories are of being left on his own at age 5 while his parents went off to work in a German factory. "It was a backyard of an old Berlin building, and I saw there were other black-haired kids like me ... staying all the day in the backyard, and we didn't know what we are doing there," he says. "And there were other kids, blond, looking a little bit different, and we couldn't understand each other." Some would argue that Germans and their growing Turkish minority never learned to understand each other. At first, the Turks believed they would soon be returning home with the wealth to start a better life. But as Turkey's political situation was roiled by violent unrest and military coups, more and more Turks opted to stay in Germany. Semra Guzel-Korver with the European Broadcasting Union has made two documentaries on Turks in Germany. She's not surprised that a growing number of them are leaving Germany, now that Turkey's economy is robust and growing. "A lot of Turkish, especially young generation, come back to Istanbul and other Turkish cities, because ... they cannot find jobs anymore in Germany," she says. "They finished the university, they know three or four languages, everything is perfect — but their name is Turkish," Guzel-Korver adds. She says the euro crisis has increased racism and Islamophobia. Racism and Islamophobia are what drove some Turks in Germany to make a stand. They watched in dismay as a recession in the 1980s and the reunification of Germany after 1989 brought a rise in neo-Nazi violence against immigrants. As the neo-Nazi attacks spiked in the early '90s, young Turkish immigrants began to form street gangs and confront them. Al Jazeera's English channel aired a documentary about the most famous of the Turkish gangs, known as "36 Boys." In the film, former gang member Soner Arslan said organizing was a matter of survival. "The 36 Boys, people think we're dangerous and beat people up all the time, but the reality wasn't like that," he said. "We had a war here, and we had to protect ourselves. They wanted to kill us, and the German police and politicians did nothing about it." For decades, the Turks kept coming, but now the flow is reversing. One recent study concludes that some 193,000 Turks left Germany to come home between 2007 and 2011. The most commonly cited reasons were better job prospects in Turkey and discrimination in Germany. Yolcu was a member of the 36 Boys gang (named after the postal code of a tough Berlin neighborhood where many of them grew up). But one day, he decided that he was never going to get work in films if he stayed in a drug- and violence-prone gang. "I have to make a new start. I felt like I have to earn money with art, and all my friends were dealers. I mean, they are still dealing," he says. Yolcu wound up in Istanbul, sleeping on a friend's couch and trying to break into the film business. It was around that time that he began a new, unexpected process of adjustment. For all his efforts to cling to a Turkish identity while in Germany, he now found that in some ways these Turks were utter foreigners to him. 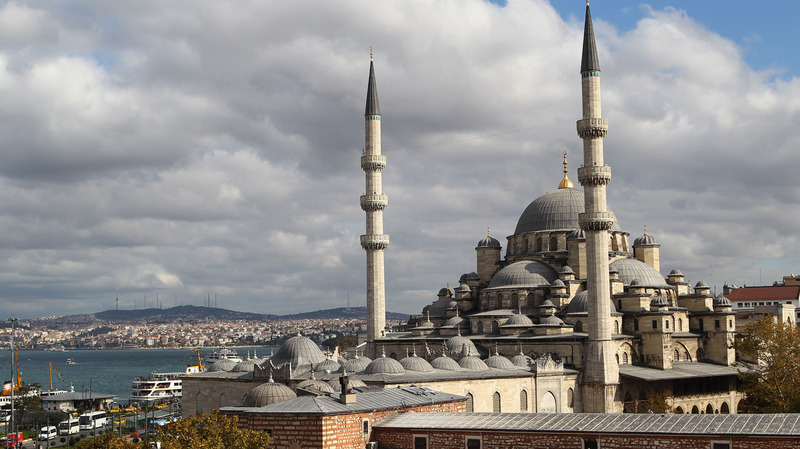 He was surprised to find a Germanic desire for order welling up in him one day while walking down Istanbul's teeming downtown thoroughfare, with masses of people jostling this way and that. "You know, I can't understand why all the people are walking like this! And one day I was nearly to cry, 'Stop! You go right and you go left!' " he says. "I mean, I couldn't understand why there is no people who says, 'It's too much people here! You don't see it?' "
Over time, Yolcu grew to embrace the relative chaos of Turkey and now feels at home here. He also keeps an eye out for his fellow Almancis, or German-Turks, because he knows what it's like to feel like a stranger in your homeland.